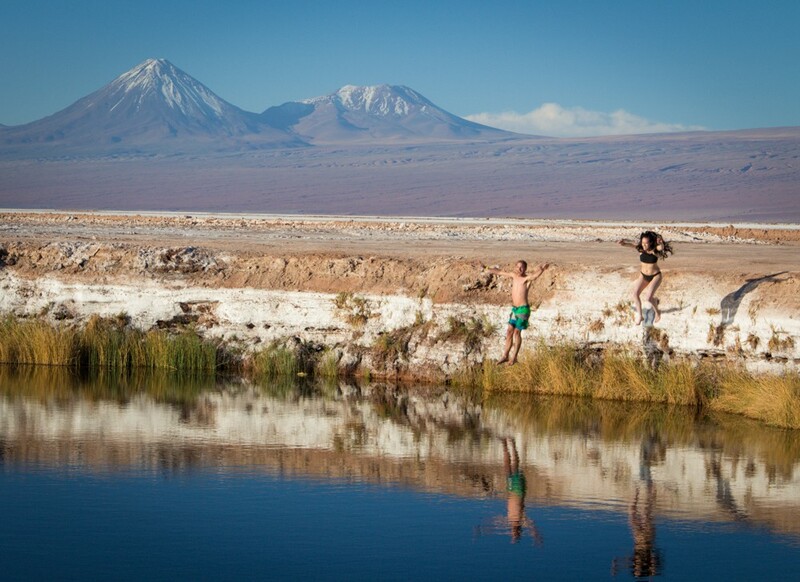 A pair of twin sink holes in the Atacama desert are known as the eyes of the salt flat. You can jump in. Rebecca nearly hyperventilated from the arctic temperature, but I did it three times. 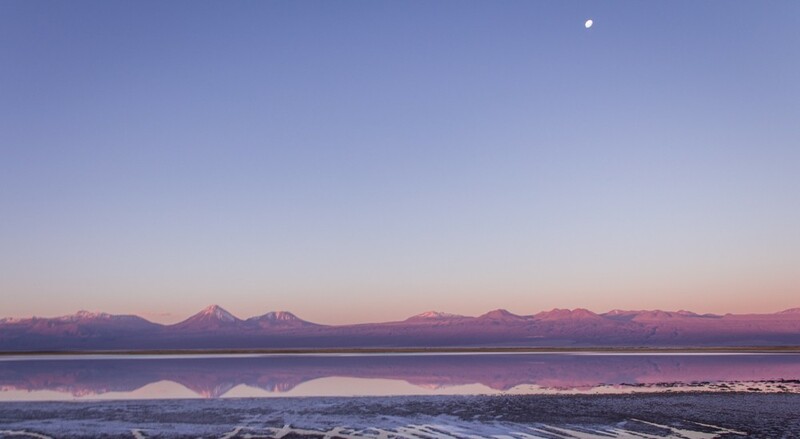 Just after the sun disappears, the Andes mountains turn pink. Seeing that reflected in Tebenqiche Lagoon isn’t something easily forgotten. Chileans are crazy about lemons, and Lemon Pie is in every restaurant, bakery and gas station. Don’t leave without trying it. 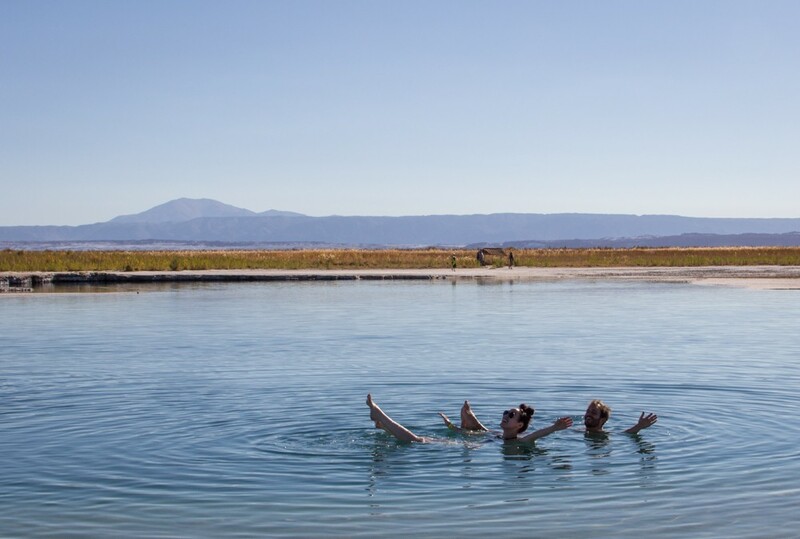 Not many people know that Chile has its own mini Dead Sea! It’s not quite as salty as the real thing, but you can still float without moving a muscle. 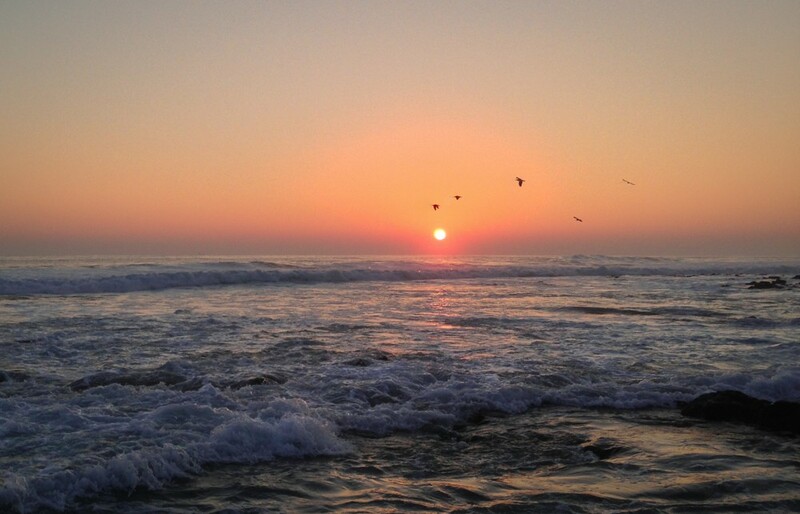 Iquique is referred to as the Monaco of Chile. I didn’t see the gambler’s paradise side of it, and in honesty, I didn’t love the place, but sunset by the tumultuous Pacific is well worthwhile. And if you’re lucky like I was, you’ll spot a seal swimming by the rocks! I saved the best for last. 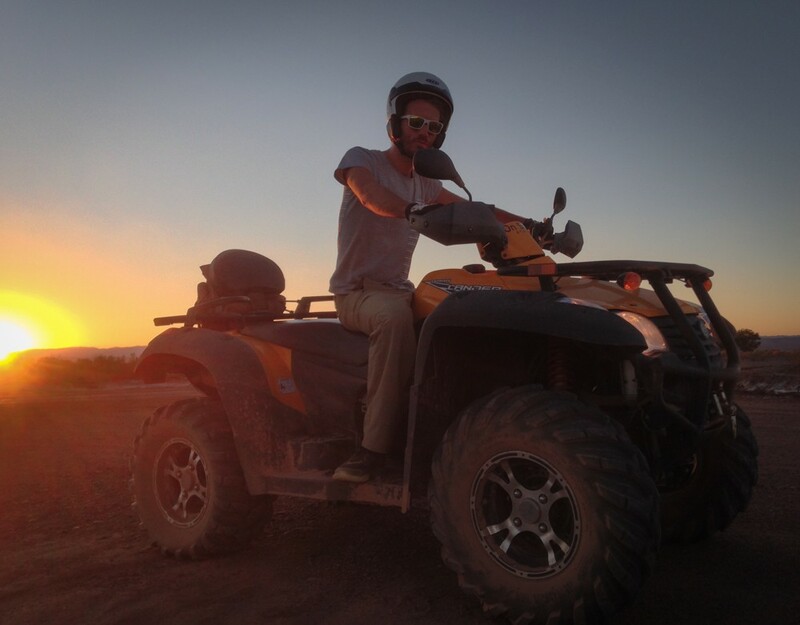 I’d never been on a quad bike before I came to Chile, and now I’m obsessed. 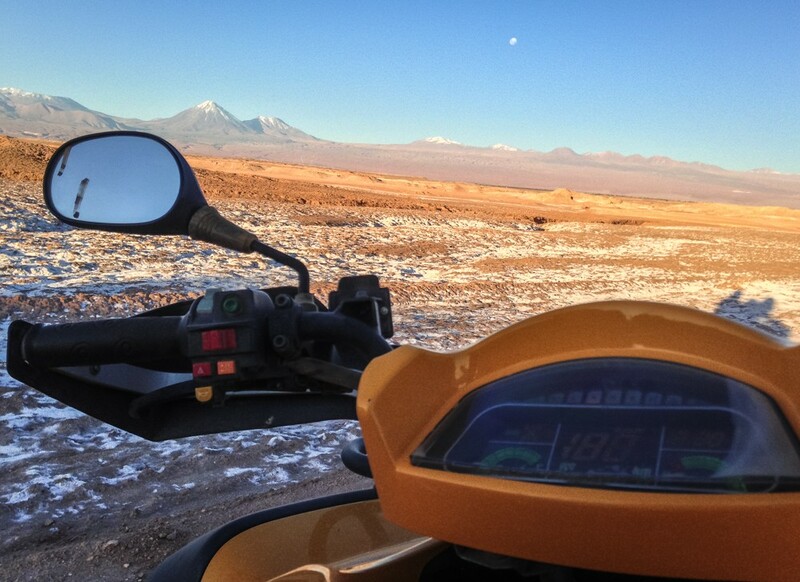 The Valley of the Moon is so named because if its moonlike landscape. When the bike first lurched to life I had some trepidation, but that soon evaporated as we sped along the sand, over river beds, up dunes, and occasionally on such an angle that we felt like we were certain to begin rolling. 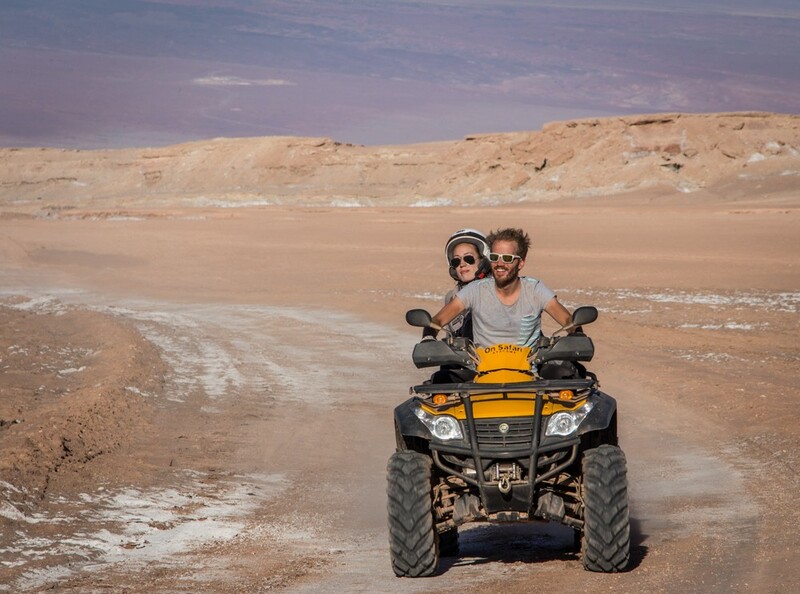 Quad biking was a magnificent experience and is by far the best recommendation I have for anyone visiting Northern Chile. 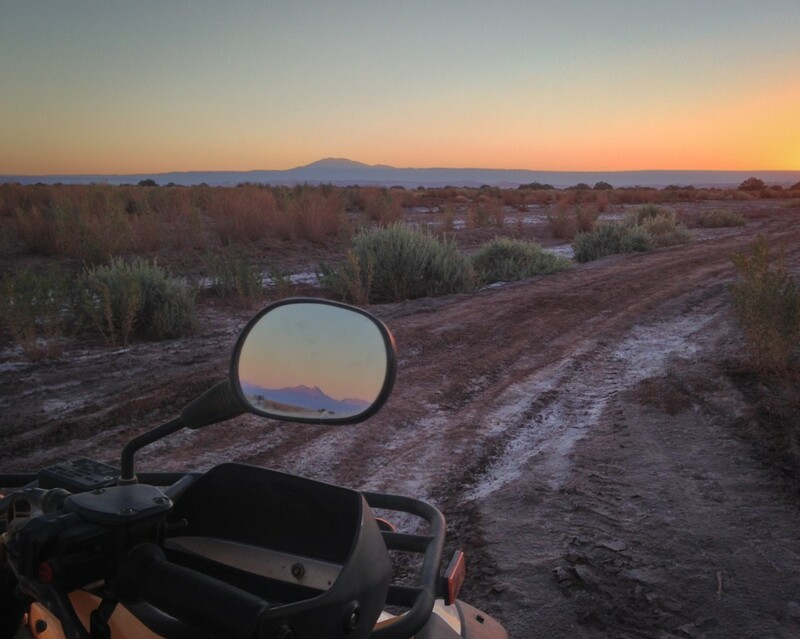 We booked our quad bike excursion online through On Safari. 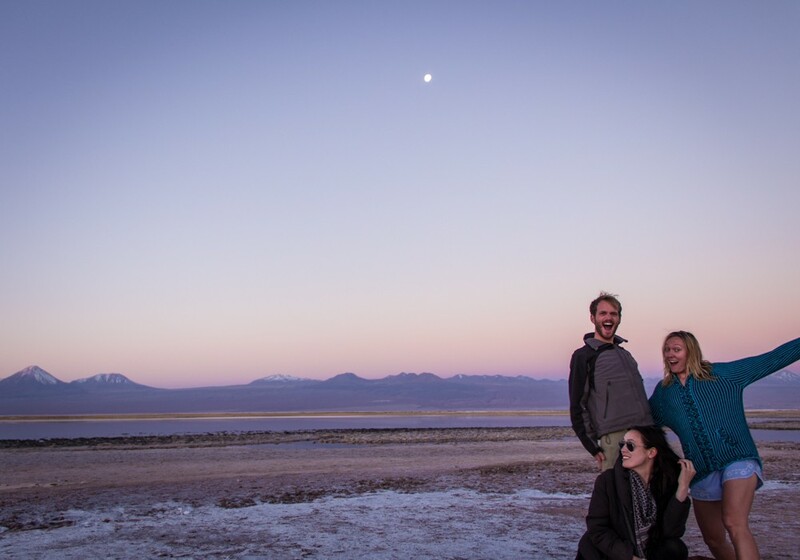 It departs from San Pedro de Atacama and there are several itineraries to cover whatever you want to see.